I outlined the fun I’m having with the Canon wireless printer earlier (Canon SELPHY CP900 Wireless Printer and an iPhone is my modern Polaroid). 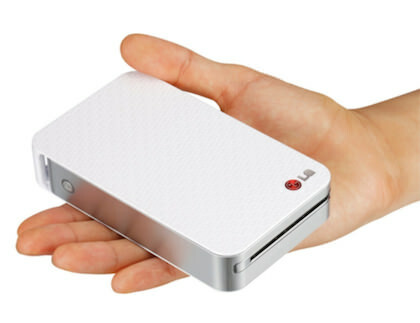 While the printer is small and has an optional battery pack, it isn’t ‘pocket’ size. 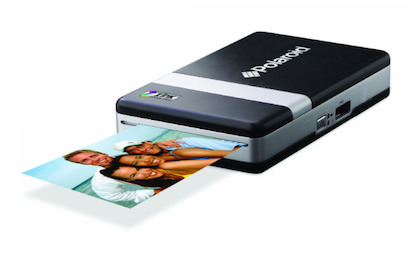 Polaroid introduced ink free printing with their ZINK paper. I played with it on my Polaroid Z2300 Camera/Printer… a boxy camera that has the option to print any photos you choose directly on paper cards inside of the camera. Polaroid also has a line of printers using the same technology, the CZA (often called the Pogo at local stores like BestBuy). Bad news for iOS device users is that the printer only supports Android devices. In a magazine out of the UK, I noticed that LG said they were producing a line of ZINK based Pocket Printers. When I looked around, I found on Amazon two models available, the PD221 and PD233. 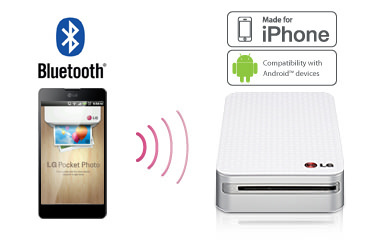 Both of these printers claim they are for Android only, like the Polaroid manufactured version. Visiting LG’s site, I found that LG is showing the PD233 now works with iOS devices via their free universal app! It would appear we can now send photos from our iPhones (and iPads) to the LG PD233 for printing via Bluetooth. The iOS app does allow for some editing, stamps, sharing on Social sites, and adding QR codes. Uh, QR codes? Yup, use the app to upload a photo to Facebook, then print that photo with your LG Pocket Printer to include a QR code for people to jump from the Printed version to the online version. Androids have the ability to send to the printer via a tap using NFC, I wonder if iOS7 might get an upgrade to include the PD233 in their options to ‘send to’.